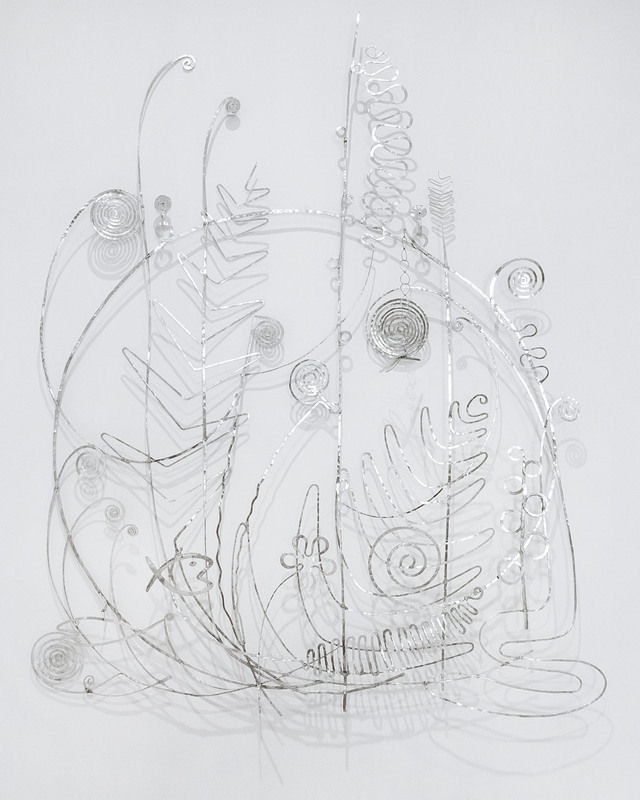 For the silver headboard, Calder created a design that combines fish, insect and plant motifs, and cheerfully pairs the worlds of sea and garden. The dragonfly at the upper right and the two fish at the lower left are free-hanging elements. Peggy Guggenheim (1898-1979) was an American art collector and socialite, who built a notable art collection in America and Europe primarily between 1938 and 1946. In 1949, Guggenheim settled in Venice, where she lived and exhibited her collection for the rest of her life. Her former home, a palazzo on the Grand Canal, remains a museum showcasing her love of art. On my recent trip to Italy, I had a chance to visit it finally. My favorite spaces in the museum is the terrace on the canal – and the courtyard sculpture garden on the other side of the house. There is just something so fundamental about pairing art with fresh air and nature. 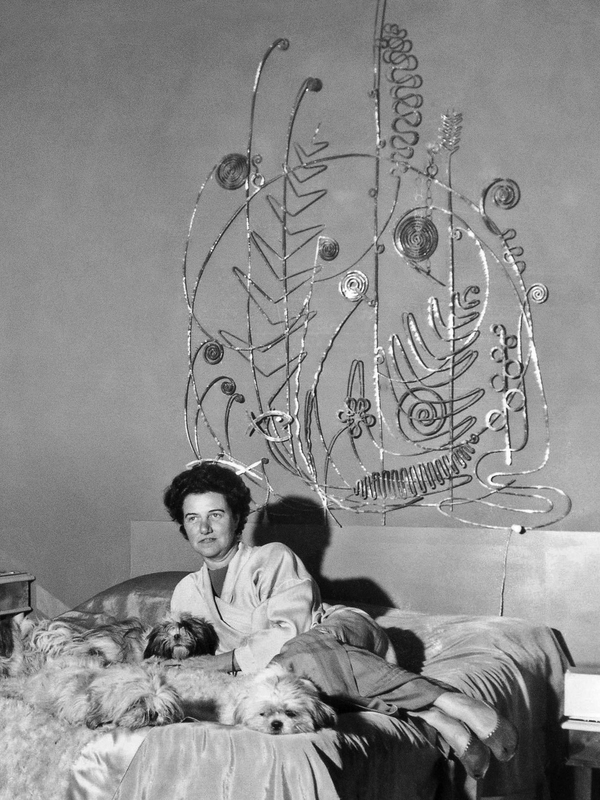 Along with paintings and sculptures, exhibited are also several personal pieces, such as the Calder brass mobile earrings, and silver bed headboard. The headboard was created by commission for Guggenheim’s New York apartment in the winter of 1945–46.